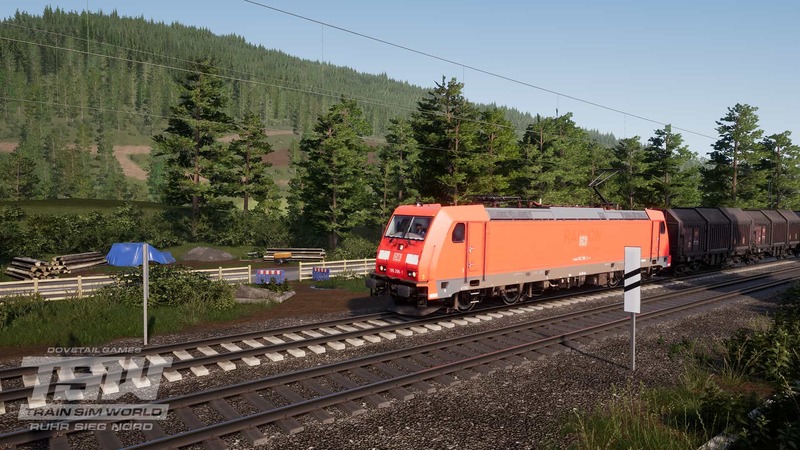 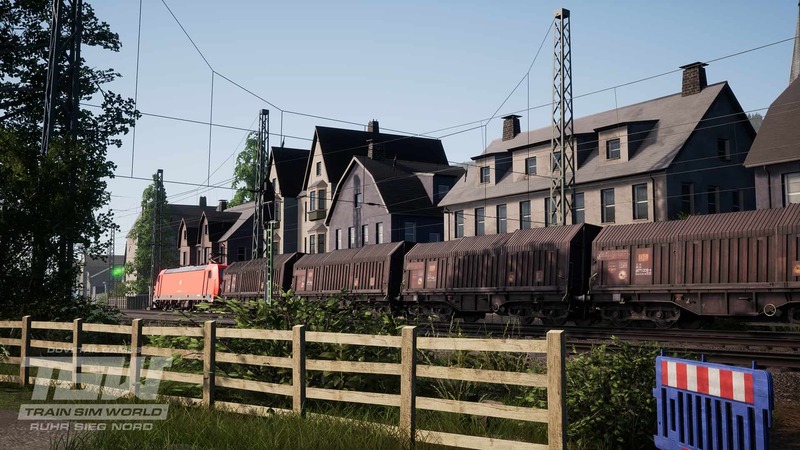 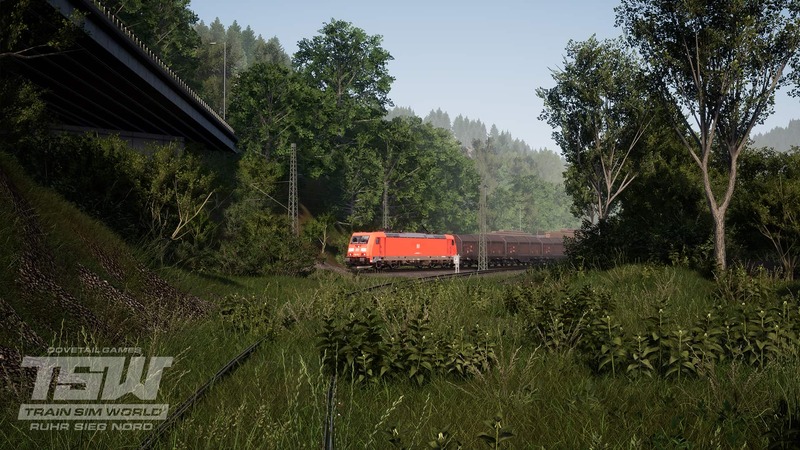 Train Sim World: Ruhr Sieg Nord is out now for Windows PC, and today we’re going to delve right into world on foot, and see what locations are tempting us to explore. 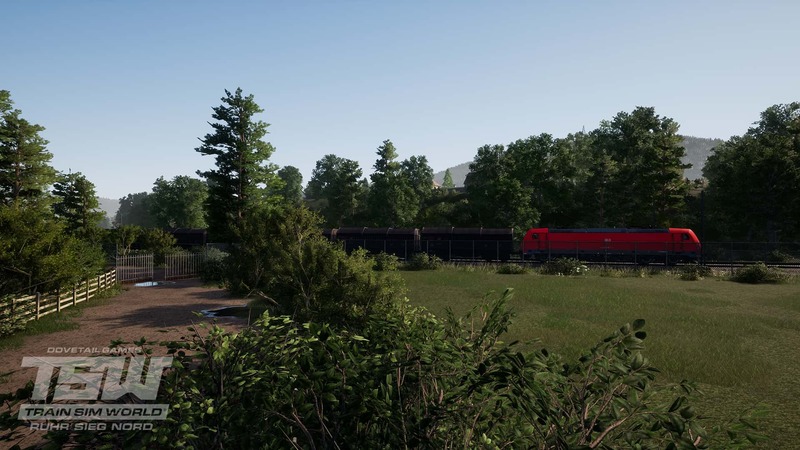 Disclaimer: we’re not actually walking around here, I’ve opted to take a DB BR 185.2 and will hop out occasionally, but by all means walk along with us, there’s lots of collectables to pick up along the way. 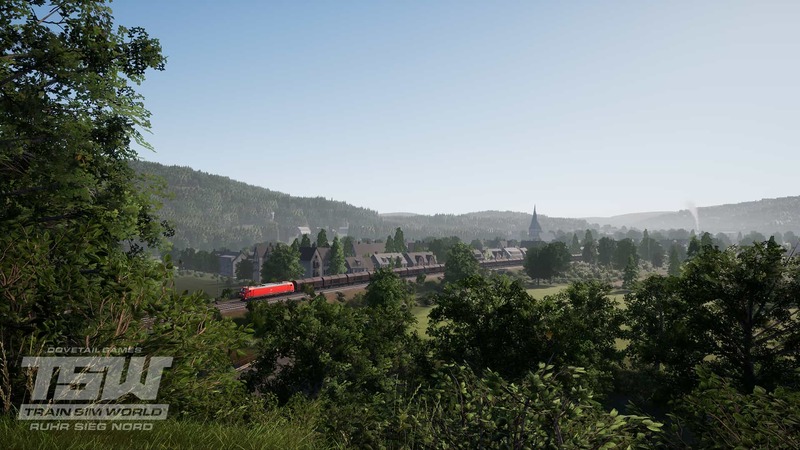 Not long after departure from Finnentrop, we come across a short bridge over the Lenne River, and the railway burrows into the surrounding hills. 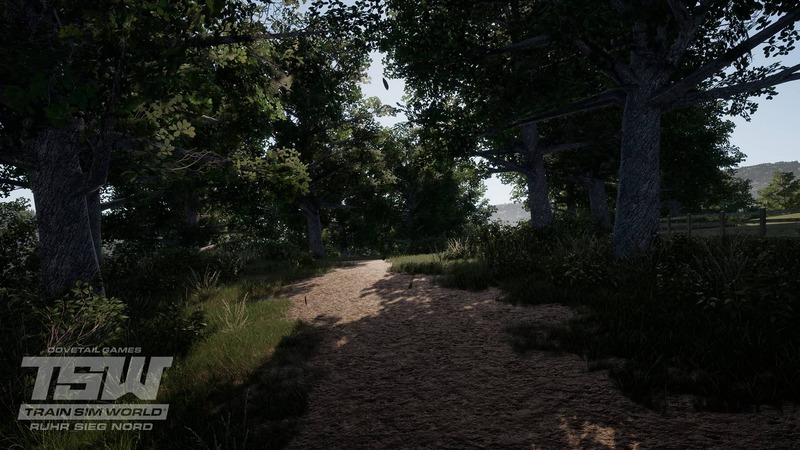 However, if we pay close attention, we can see a few dirt paths, one of which leads to a most spectacular view. 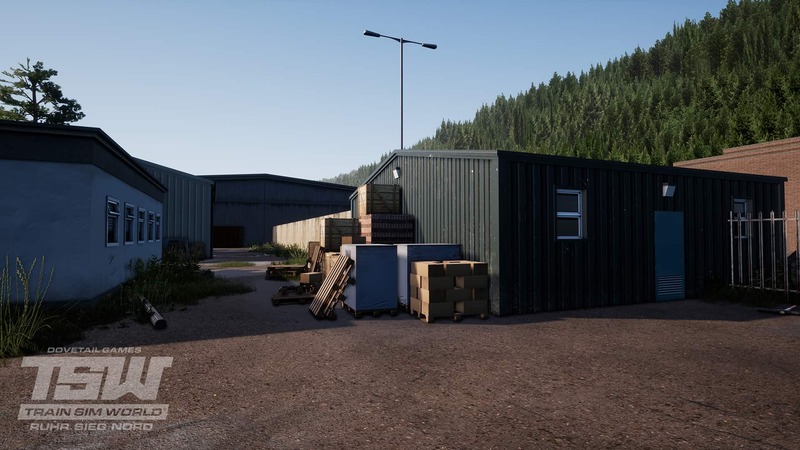 Just outside Plettenberg, we find one of the many examples of industrial openings along the route, prefab buildings and disused pallets are the talk of the town in this hidden location, as is a collectable, can you spot where it is? 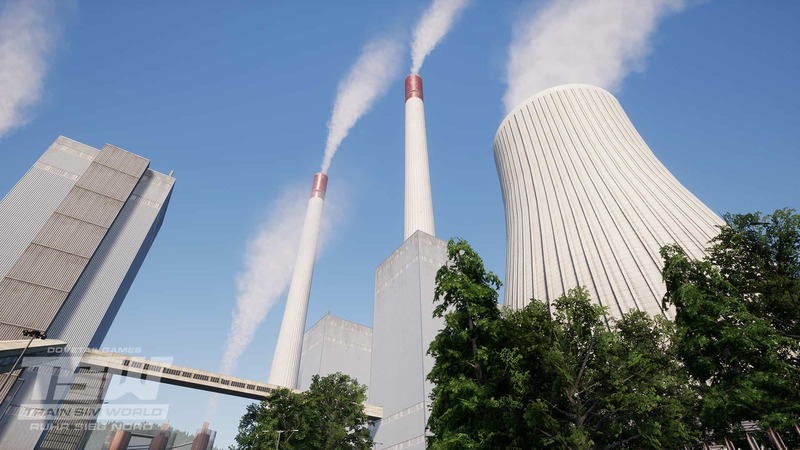 Okay, this one is probably cheating as it hardly blends in (and it’s an on-foot spawning location), but Elverlingsen Power Station is a notable landmark on the route and worthy of mention here, simply because of how toweringly tall it is when you walk up to it. 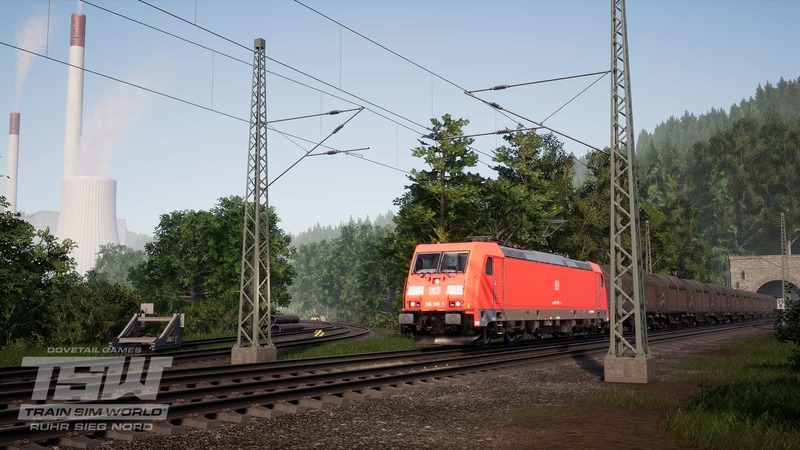 Access from the mainline is via a junction, follow that and you’re all set. 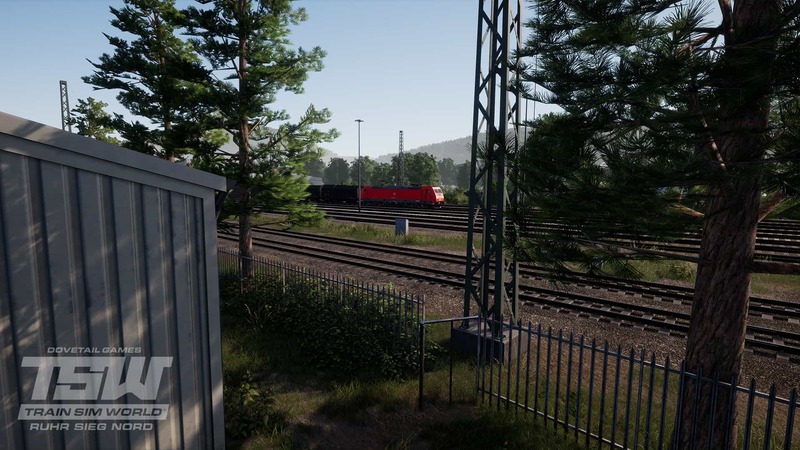 We don’t want to give away too much more, the rest of Train Sim World: Ruhr Sieg Nord is entirely yours to discover, so if you’ve picked it up already, give driving a break for a day and go for a walk, if you haven’t, now is the time!